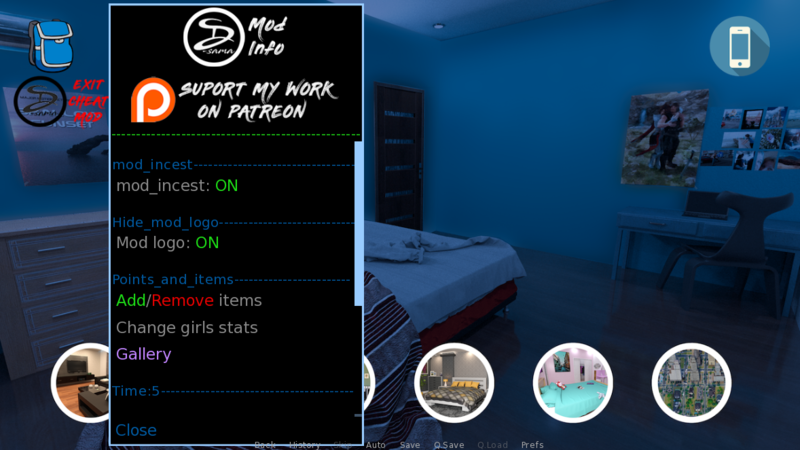 You'll have a image button (my logo) in the down-left/up-left corner of the screen that you can press or if you'd like you can press 'z' and the mod will appear. 2. for uninstalling the mod you only have to delete the .rpa file, but if you used UnRen, then you must also delete the folder "...\AFamilyVenture-0.01b-pc\game\D.S.Mod_v0.1d_AFamilyVenture-0.01b-pc"
-the mod enables the consoles and rollback. That is strange, I have never encountered this type of problem before, can you give me some more details like what operating system you use, from were did you download the game, do you get an error message , etc. infos that'll let me know more about what's causing the problem, and can you re-download the mod and try again. Yes, i can try to re-download the mod. I'm also using an Aurora r5. I downloaded the game from the f95 zone, forgot which thread though. Same here ... it hangs and cannot progress .... May I know how many files in the folder mod? Same ... Unable to move forward and can only reroll back. FYI, Windows 10 here. 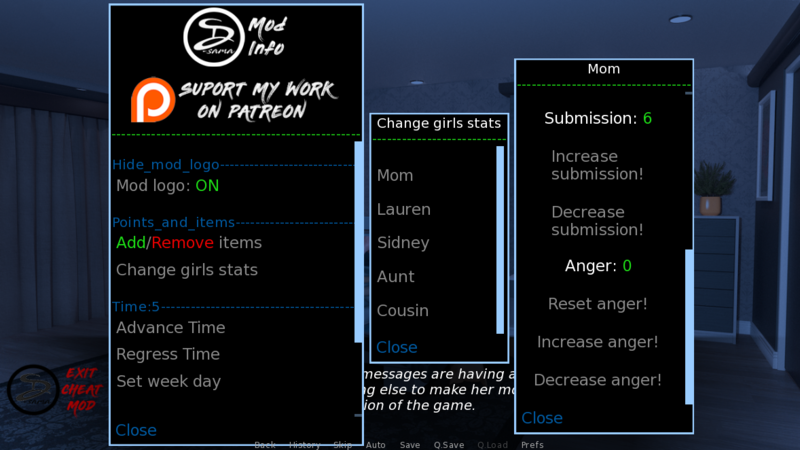 The mod button and the bottom controls are accessible, but you cannot click or enter to advance the text. Almost like it is being overlayed. As reported, you can regress time. I tested with a new and a save that I advanced with the mod removed and then put in. No difference. Let me know if I can assist... I'll be around and about for a bit. 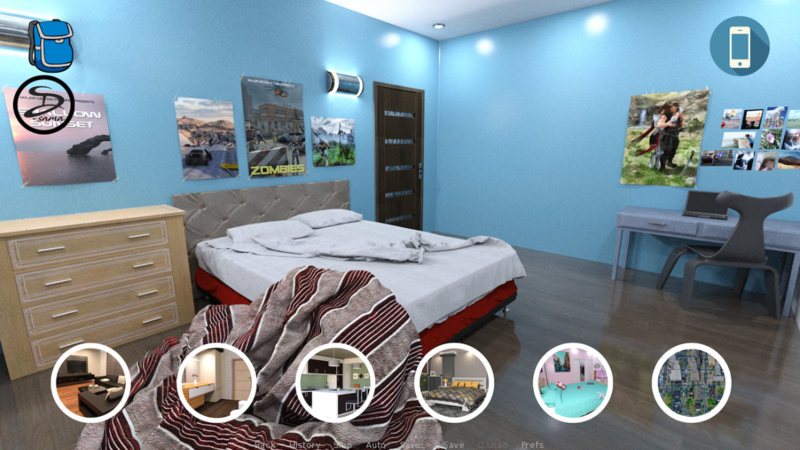 FYI, I tried both the original and your latest posted version. 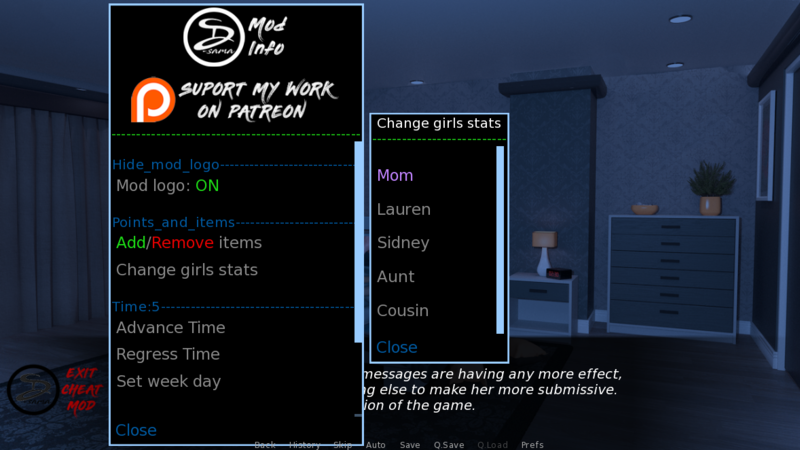 Edit/Add: Also, when you open the mod with the button in game, cannot scroll down your window either, with mouse scroll, keyboard or click on the sidebar. Hope all of this helps. Bingo so far it's working. Same problem here. Also the mod logo appears twice, up and down the screen, and activates (but without work) in lower logo. Edit. Sorry, I didn't see the fix after posting, works fine now, thank you so much. Updated the OP and uploaded the new mod version with all bug fixes. It happens the same here, I am using windows 10. 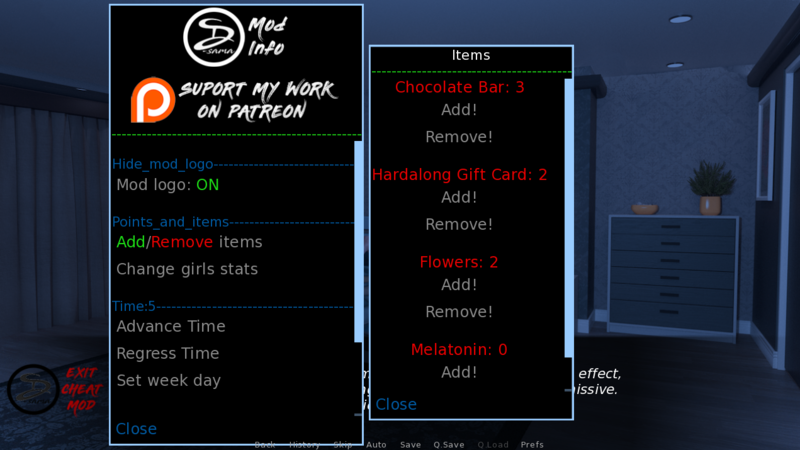 The game is frozen and it is possible to just open the mod menu but it is not possible to interact. After the update, the game came back and the mod also ... Thank you for your work.